We’d love your help. 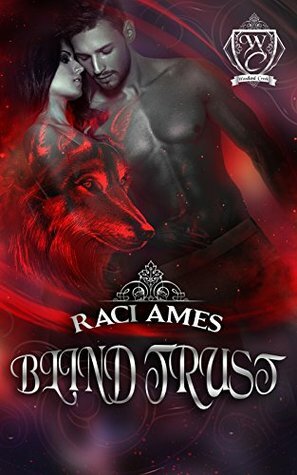 Let us know what’s wrong with this preview of Blind Trust by Raci Ames. Healer Pia Matthews is just getting her life back on track after a fire left her blind. After months of depression and rehabilitation, she’s regaining her independence thanks to Clark, a red wolf shifter who stays almost exclusively in his animal form and. He lived in the woods by her parents house, watched her struggle during her recovery, and fell in love with from afar. Healer Pia Matthews is just getting her life back on track after a fire left her blind. After months of depression and rehabilitation, she’s regaining her independence thanks to Clark, a red wolf shifter who stays almost exclusively in his animal form and. He lived in the woods by her parents house, watched her struggle during her recovery, and fell in love with from afar. When he overheard her need for a Seeing Eye dog, he followed her around until she adopted his wolf form. Jeremiah’s a cougar shifter who moved to London to escape the animal inside of him. Though he built a life for himself and a business there, Pia’s handicap makes him question everything. He comes back to Woodland Creek to help launch the Apothecary and finds a wolf guarding her that he doesn’t trust one bit. Pia’s need for both Clark and Jeremiah sets of a natural competition between the two that threatens Pia’s trust and safety. If they can’t resolve their animal difference in the human world, they will both lose her. To ask other readers questions about Blind Trust, please sign up. This had the potential to be a good book, but numerous typos, missing chapters and grammatical errors really didn't do it for me. I was loving this book, but then it is missing a bunch of chapters, it goes from Clark still being a wolf to suddenly skipping ahead to he is human and they are a couple!? Please fix this so I know the ending.